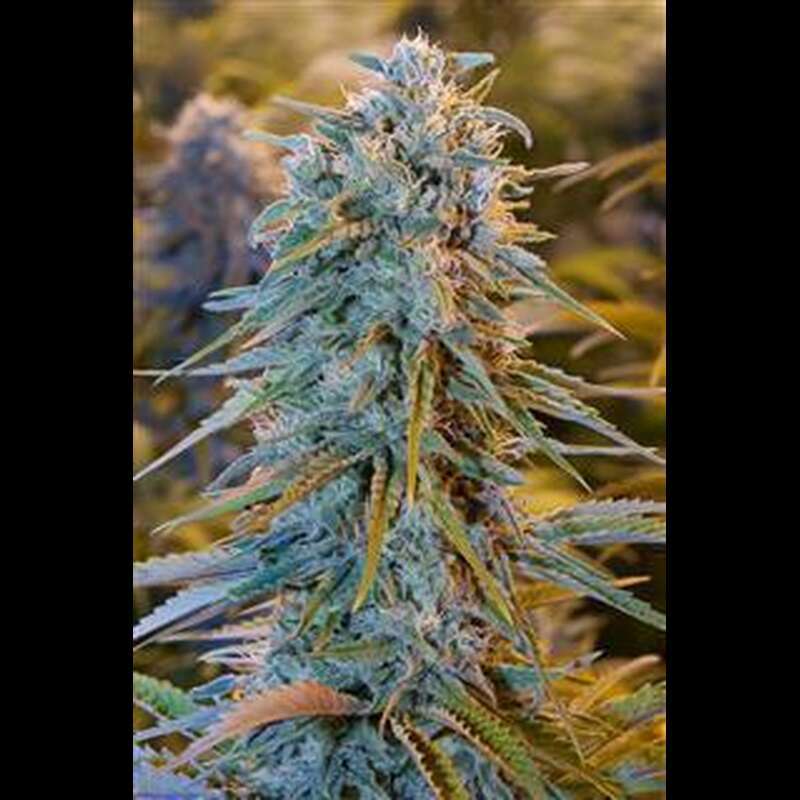 Blue Dream has become renowned for its strength, vigor and immense resinous size, while being accompanied with beautiful shades of blue. Long internodal sites make for huge tops and continue with rock hard buds all the way to the bottom. The sweet and tangy indica Blueberry overtones, compliments perfectly with the rich essence of pepper, citrus and Earthy undertones provided by a very special Super Silver Haze. Ideal for the active person, she has been well known to provide euphoric uplifting effects, before finishing with feelings of relaxation.